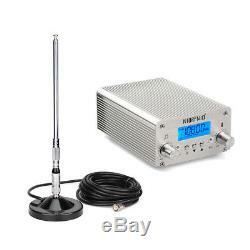 RF Wireless 15W PLL FM Transmitter Radio Stereo Station Broadcast&50FM Receiver. Transmission frequency can be set from within the range of 87 108MHz. 8-level RF power adjustable, the most transmission distance of 3-4 km (1.9-2.5 mi) in the open air. Channel switching: switchable stereo, mono. Designed with advanced modulation system and built-in PLL frequency, audio pre-emphasis, limiter, and low-pass filter circuit. High-fidelity Bluetooth: you can connect wirelessly to mobile phones, tablets and other Bluetooth devices. With high-fidelity U disk play function, support lossless format FLAC/WAV, compatible with a variety of other commonly used formats. Good heat dissipation: using high-quality dual ball bearing fan, reasonable heat dissipation channels, excellent thermal performance. Alarm reminder function: Standing wave alarm / Temperature alarm. 1/4 wavelength of strong magnetic sucker antenna, can be tightly adsorbed on the car roof or any metal flat objects, easy to move the antenna to the outside, the roof, balcony or window, more effective transmission and reception of electromagnetic waves. 144 x 100 x 59mm. Usage Scenario: Campus radio, supermarkets, churches, farms, factories notice, education and training, scenic broadcasting, corporate meetings, automobile cinema, outdoor team contact (received through the car FM radio) or create your own radio station. Transmission distance of the transmitter depends on many factors: transmission power, antenna installation height, antenna gain, the use of the environment Such as buildings and other obstructions, sensitivity of the receiver, the receiver antenna. The higher the antenna installation, using the distance will be more far in rural areas. 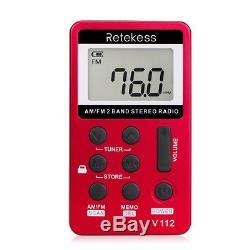 1.5 inch LCD display, digital display. FM stereo listening through the earphone. 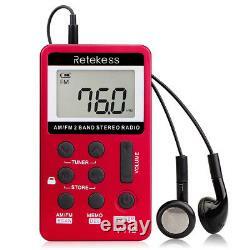 Auto and manual search and store radio stations. 58 station presets (each band 29). Lock switch to prevent accidental operation. Easy to operate for Senior and Children. 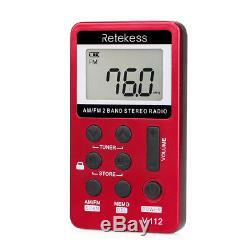 Built-in 500mAh lithium battery, can play more than 10 hours continuously. Only 45g/0.1lb weight, convenience for hiking, take a bus or walking. 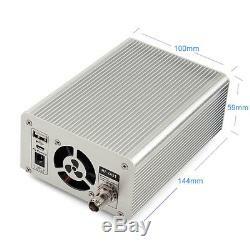 Power: Built-in 500mAh rechargeable lithium battery. 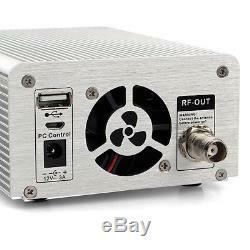 Charge: DC 5V, Micro-USB jack. Size: 85 x 48 x 13 / 3.3 x 1.8 x 0.5 inch. Weight: 45g / 0.1lb. 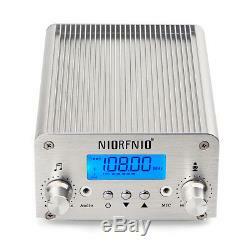 1 x 15W FM Transmitter. 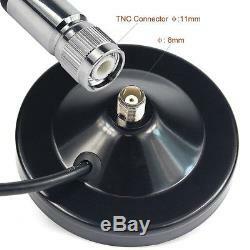 1 x Magnet sucker telescopic antenna. 50 x USB charging cable. Processing time:as the item description. We are not responsible for any wrong or undeliverable addresses. Thank you for your understanding. A:Overseas Warehouse Local Dispatch. We stand behind every product we sell. If you cannot return it, you can sell it, too!! Been holding on to something past its return date? Our goal is to make sure you are a happy customer and pleasant shopping with us. We understand the concerns and frustrations you might have, and will try our best to resolve the issues. Because of time-difference, we cannot give you a quick reply sometimes. Please wait for some more time. 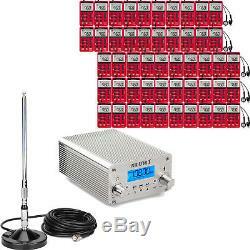 The item "Wireless 15W PLL FM Transmitter Radio Stereo Station Broadcast&50Receiver Red" is in sale since Saturday, June 9, 2018. 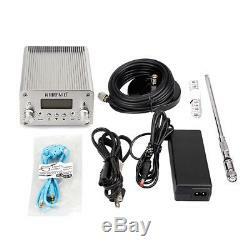 This item is in the category "Consumer Electronics\Radio Communication\Ham, Amateur Radio\Ham Radio Transmitters".b2c" and is located in ShenZhen. This item can be shipped worldwide.